*** under construction *** This inspired 4 bedroom Walton II home design combines wonderful formal and informal living areas. A wonderful flex space is close by to be used as an office or the fourth bedroom. Just past the Walton’s foyer is your first look at the spacious gourmet kitchen, featuring granite countertops and large 42" cabinets. The kitchen and dining area overlook the large living room perfect for entertaining. 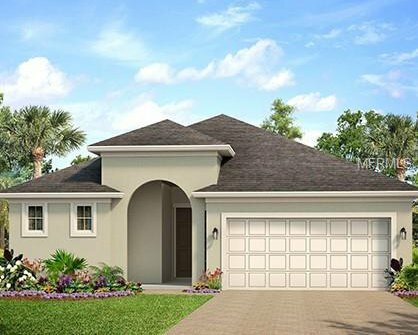 Just beyond the living room you will find your large covered lanai, creating additional space to relax and enjoy the warm Florida weather. The opulent Master Suite provides a large walk-in closet and a sizable Master Bath complete with his and hers sinks. MUST SEE!